Well….no, that actually is the question and it’s one that I think has stalled many a fundraiser or volunteer. We know we have to get to the ask, but how to get there? Do you just saunter up to the prospect and say, “So how much are you going to give?” If only. We can probably all talk about our organizations. Tell the person sitting next to or across from us why what we do matters. Most likely you can even describe what your organization does—that is, what are its programs, and how it actually pushes its mission forward. But getting from there to the point where you are thanking the prospect for becoming a donor is a real sticking point. Over the next few entries, I’ll be talking about the various aspects of what we all coyly call “The Ask.” Really, though, it’s many asks and the issues surrounding them are multi-faceted. The first issue is you. 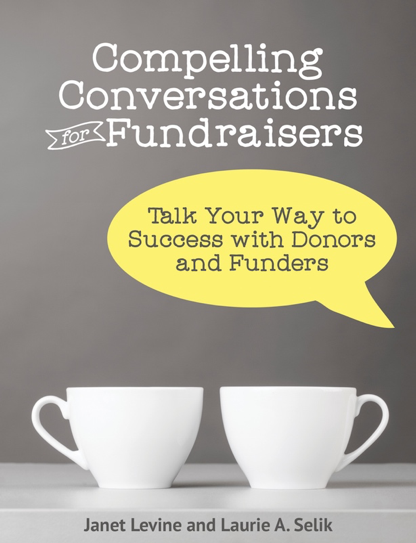 How comfortable—or uncomfortable— are you with the idea of asking someone for money? You level of ease will create the environment and set the stage. The more awkward or hesitant you are about asking for money, the harder it is to get to that point. As a fundraiser, you feel no qualms about requesting support. Nor should you feel that what you are doing is somehow akin to begging. I’ve worked with people who like to joke that their organizations are “equal opportunity beggars.” The first time I heard that I thought, “Cute.” The second time, I felt uncomfortable. Maybe I just don’t have a sense of humor, but I strongly believe that fundraising is most definitely not begging. In fact, it is almost the polar opposite. So here is Rule #1 for successful fundraising: You must honestly believe that you are providing the prospect an opportunity to be a part of your organization and the work that you do. If you don’t believe that, you just may be in the wrong business. At the very least, you are at the wrong organization. Rule #2 is to put yourself in your prospect’s place. Do the things that you are being told sound exciting? Are they things that you believe are important? Transformational? Necessary? Do you want to be a part of what this organization is doing? And if not, why on earth would you expect that anyone else would? If you can provide an opportunity and think about it from the prospect’s vantage point, the right words at the right time will come. Next time, we talk about those words and how you get to say them. Janet Levine is a fundraising consultant. She can be reached at jlevine@levinemorton.com. Her online grantwriting class is available at www.ed2go.com/courses/ggr. This entry was posted in fundraising, major gifts, prospecting. Bookmark the permalink.